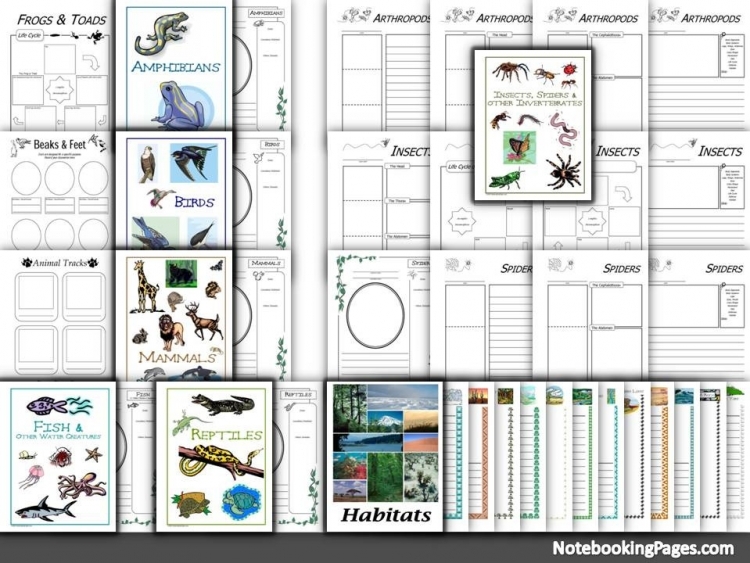 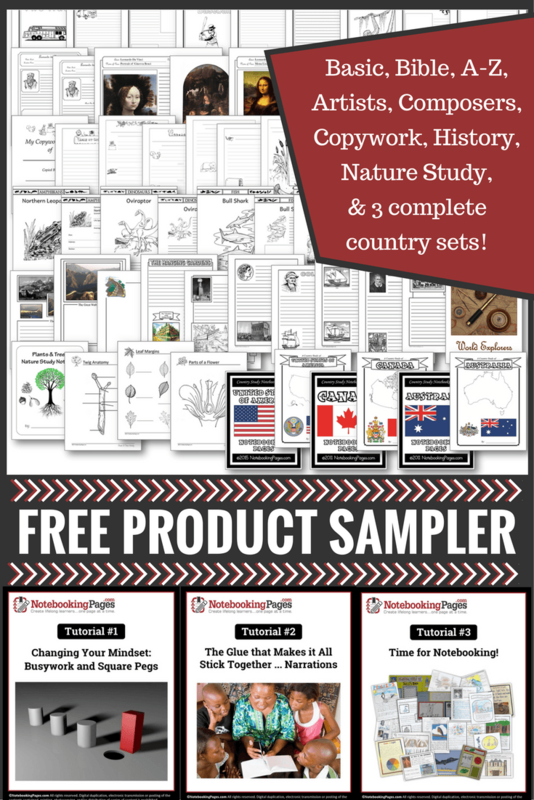 This e-set of 293 regular and primary-lined notebooking pages includes a variety of notebooking layouts specifically designed for nature studies. 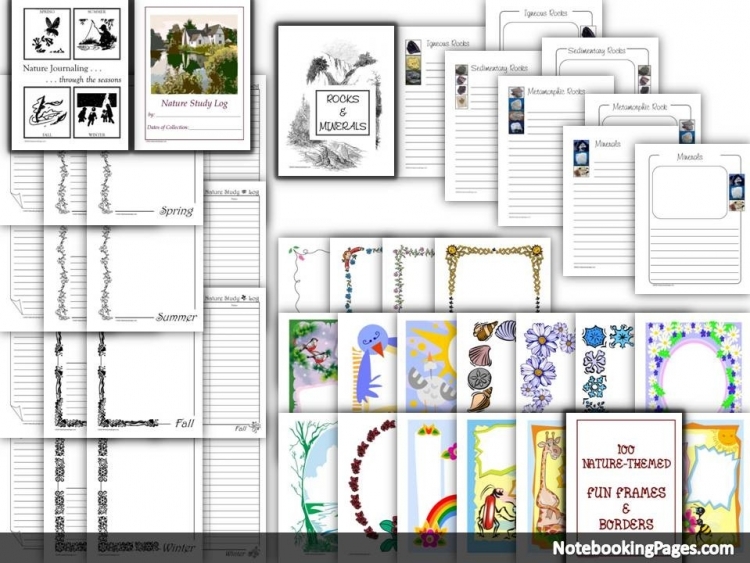 Also includes 100 BONUS Fun Frames and Borders designed for both primary and regular-lined styles! 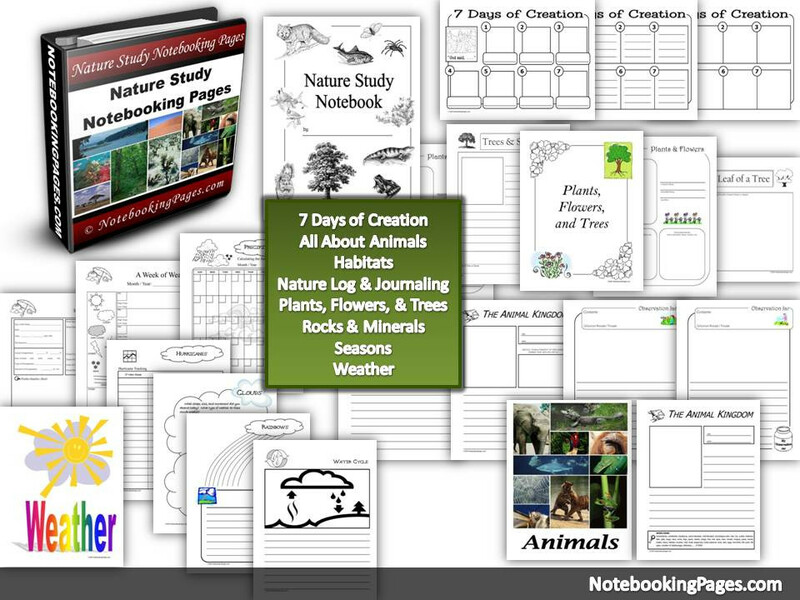 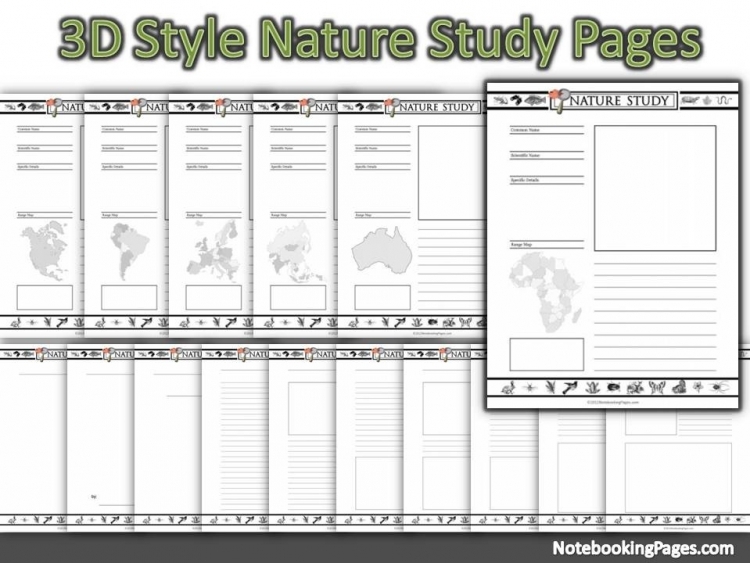 Update: This set now includes 3D Nature Study Notebooking Pages! Use our 3D mini-book templates with these specially formatted pages. “Suggested Ideas” pages for these notebooking pages. 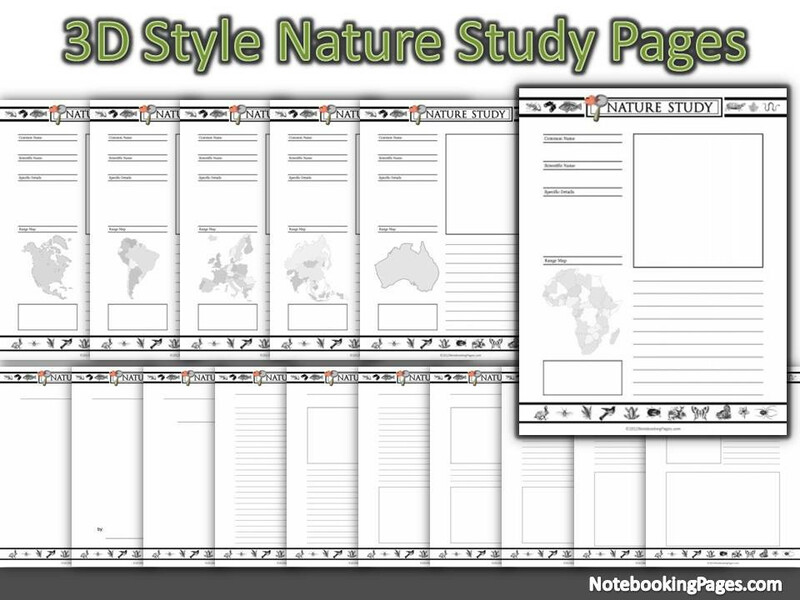 Cover pages also included for each major section.